What have I let myself in for? Our seventh month of wool exploration looks at Dorset Horn, Dorset Down, Poll Dorset AND Portland. Portland has been a last minute addition, as it was pointed out to me that – of course – it is also a breed from that same area. I thought it would be fun to look at these four breeds, which all originate from the same patch of England. We may find big similarities between them, but perhaps we shall find contrasts too. Wool Exploration has shown us how one breed can make vastly different yarns and fabrics, so this ought to be interesting. 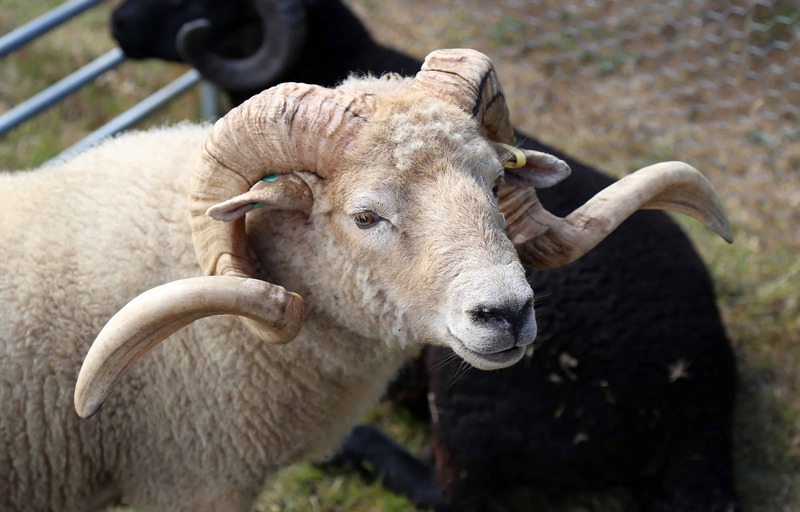 In my bible – The Fleece and Fiber Sourcebook – Deb Robson and Carol Ekarius call the Dorset sheep a group, rather than a family, as they do not all share ancestry. I will give a quote about each from TF&FSB as we look at where you can buy! | Where can I buy Dorset yarn and fibre? You will find you may need to search google with ” ” if you are looking for a specific breed, but here are some handy links! Tania, at TJ Frog, is a great go-to for your Dorset needs! She has both Dorset Horn and Dorset Down yarn. The Dorset Horn range is called Shell and is available dyed and undyed and in 100g skeins, 50g cakes or highly-swatchable 20g minis! You can find the Dorset Horn range here – prices start at £3.80 for the minis. World of Wool have both fibre and DK yarn in Dorset horn – It is around £5.85 for 100g of the yarn and £1.60 for 100g of fibre. Woolly Mammoth Fibre Co have natural dyed, Dorset Horn, which is currently on sale (at time of writing). Etsy will definitely be your friend for fibre, hand-dyed and handpun yarn too. Garthenor have Poll Dorset in 4ply and DK (called Jurrasic). They also have single farm certified organic Poll Dorset, which is a limited WIGIG (when its gone its gone) yarn. These are in dyed shades and comes in a 4ply range (called Stour) and a DK range (called Frome). Isle Yarns, in Dorset, used to produce 100% Poll Dorset yarns. The range now includes blends, which we cannot use here. If you have Isle Yarns in stash, please check your label for “100% Poll Dorset”. The only Poll Dorset yarn in the Isle Yarn range now is Stone hips – Again, please do be quite thorough and check your labels if you want to use Isle Yarns for Poll Dorset Exploration. From their South Wales farm, The Kennixton Flock have a store on etsy, for their 100% Poll Dorset yarns, in various weights. By the by – these guys have a good twitter account. Again, Tania has Dorset Down, in 100g skeins, 50g cakes and 25g mini skeins. This range is called Chalk and is an aran weight. The dyed colours are different to the Shell/Dorset Horn – all of the colours are inspired by flowers and grasses on her croft in Skye. Check out the ravelry group for a giveaway from Tania – there are just a few days to enter! Based in Dorset, Tamarisk Farm have balls of their own Dorset Down, which is undyed and organic. They come in aran and chunky and cost £6.60 each. Farnell Farm, in Kent, have 4ply and DK Portland wool. Prices are £18 per 100g skein. They also sell fleece (min 1kg) and 200g batts of Portland too. Armscote manor will also come up in your Portland searches. Please be aware that they sell pure Portland, but also sell Portland blends, so do be careful which you get. Don’t forget that the British wool suppliers list on woolsack.org is also a great resource for all wool exploration. These are often farm yarns, with no online shopping facility, there are links to websites and contact details. It really is a woolly goldmine of a resource. 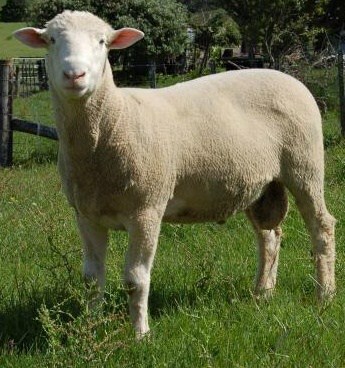 Do remember to double check that you are getting 100% of the breed wool and not blended or cross yarn. That yarn can be any weight (lace, 4ply, DK, &c). We will follow the same Wool Exploration guidelines, upload our reviews as a ravelry project. Your notes should also be transferred into our exploration google form, which collates all our info. You can use dyed or natural wool, hand-spun, commercial spun, or limited edition, small batch – the idea is that we will discover everything we can about that breed wool in a review and I will report these findings each month on the podcast. There will be so much to learn. We will have a chat thread for each breed and I will preface each new exploration with a blog post – Like this one, Remember you don’t have to commit to every single month of exploration, just jump in and out as you like! The Dorset chat thread should be open on Ravelry (I’ve written this ahead of time and will be on holiday mode when it goes out!) The deadline for getting your reviews into our google form is 13th July. Given that there are quite a few more breeds this month than usual, I am going to be quite strict with this date. Obviously you are allowed to play catch up and I hope you would still add your review to the google form, but this is the latest date to be included in the podcast episode. I should also stress that for this month you do not have to choose all four breeds! That is a lot to explore in a month – it is definitely great if you want to, but not mandatory. Pick one and explore it closely, my exploring chums! Well, what a nice coincidence! Solitude Wool is doing our second Swatch Along where we swatch/study a different breed and yarn each week for four weeks. Yesterday, June 3 was the start of the first week and guess what we are swatching? Dorset! 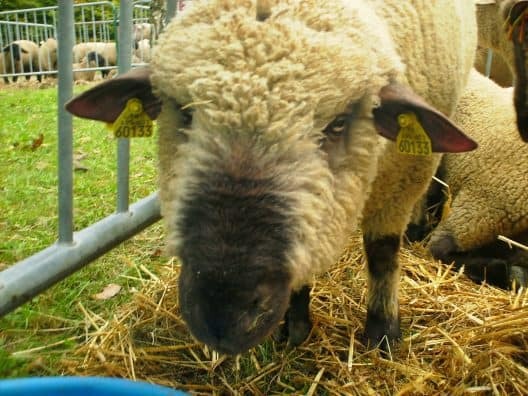 And then your email arrives: Wool Exploration: Dorset breeds. Too cool. I will put a link in our thread and in next week’s email. Our swatchers are working with the Solitude Wool Dorset hike yarn which is made from 80% polled Dorset and 20% nylon (not to mention we are US), so it wouldn’t work for your exploration. Deb Robson is contributing breed info and participating with us though and I thought your readers might be interested. You can get the e-version for free on our website (https://solitudewool.com/products/solitude-swatch-along-2?variant=34370153990) or lurk in our Ravelry Discussion Group: week one: Dorset, in the Solitude Wool Group. Thanks for doing wonderful work. Hope to come over and see so many of the breeds we have here in the mid-Atlantic US in their homeland! Great minds! Gretchen, I would adore to come visit one day and roll around in all your awesome yarn. One day! I will definitely call you if and when i plan a trip!